Professor Richard O’Kennedy is the Academy’s nominee to the EASAC Biosciences Steering Panel. The objective of the Biosciences panel is to explore where the scientific evidence base can help to inform policy development in other priority areas for the European Institutions, particularly in health and agriculture and in the progression of novel technologies with potentially multiple applications. EASAC’s Biosciences panel is very active in preparing papers and views on topics of key importance to scientific research, specifically in Europe but also globally. 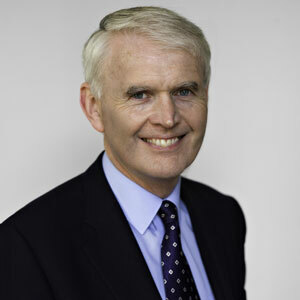 Professor Richard O’Kennedy was elected a Member of the Royal Irish Academy in 2014. He is a founding member and Professor in the School of Biotechnology in Dublin City University (DCU) and currently is Scientific Director of the Biomedical Diagnostics Institute. He has supervised 60 PhDs, published extensively (over 220 peer-reviewed papers, 25 reviews, 35 book chapters, 2 books), reviews for many journals and international scientific bodies, has several patents and licensed technologies/reagents and works closely with Irish/international companies.